So as not to disappoint the 350 or so people/bots that visit this blog regularly looking for (if usage statistics are any indication) either “Strangers” by The Kinks, Voltron t-shirts (have I really posted on five times in five years on Voltron? egad), or He-Man textual analysis, I am working on a project for coursework at the University of Edinburgh and so will be incognito for a spell (next couple of weeks, probably). For any elearners/teacher/education types floating around out there, I will be posting the project to this blog as a separate page (the page is already there, although it is password protected at this stage). So if you are glutton for punishment and really love education, you can read about some interesting things like the commodification of learning, individualization of pedagogy, and institutional invigoration. And those are only the big words I can remember. There are bound to be more. 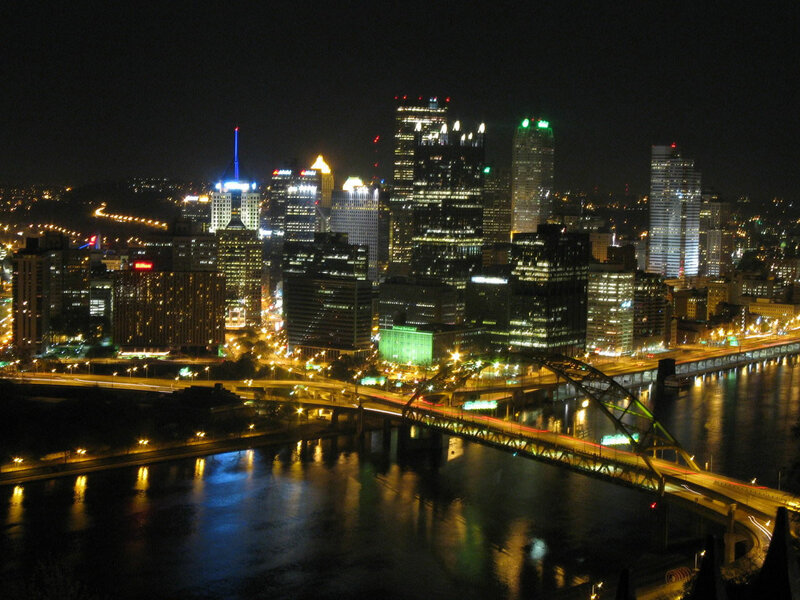 I leave you with a picture of Pittsburgh, Pennsylvania, my favorite little big city in the world. It is a lovely view from atop Mt. Washington looking into the city. Thank you again, Wikipedia. Sweet picture of Pittsburgh! It keeps getting better and better. Thanks for posting, Mike!